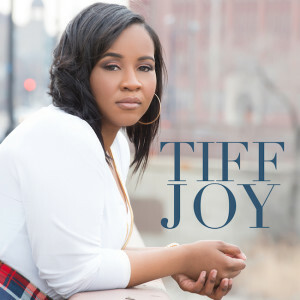 Perhaps I’m just a softie for slow, poignant gospel songs, or it’s that Chicago’s Tiff Joy (Tiffany Joy McGhee), on her self-titled debut album, is at her very best when she sings such selections. Or both. I’m thinking both. 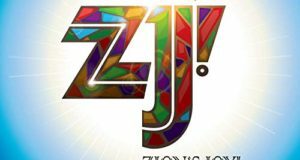 At several points on Tiff Joy’s live album, the singer breaks from the tried-and-true high energy praise team warm-ups that pepper so many P&W albums these days to deliver heartfelt messages with heartrending music. On “The Promise,” for instance, Tiff reminds the listeners to be encouraged, that if God promised it, it will come to pass. He doesn’t go back on his word. Starting with sweet, pretty, and breathy tones, Tiff moves the thermometer incrementally higher such that by the end, the music is still moving slow but she is in full shouting evangelization mode. The singer’s ability to go from zero to 60 in vocal intensity happens again on the nearly thirteen-minute “Hallelujah,” the focal point of the live experience that morphs into an altar call. Tiff Joy is representative of a new generation of female gospel singers who are worship leaders first and foremost. Think Tasha Cobbs, Casey J (another Tyscot artist), Doe Jones, and Kierra Sheard. Having won a Stellar Award for writing “Amazing” for Ricky Dillard and New G, on which she also sang lead, Tiff had no little pressure to deliver with this album. She delivers. Songs such as “Holy” (featuring Angel Feaster), “Healer,” and “I’m All Yours” (with Philip Feaster on gentle but confident piano) feature simple, conventional, and sometimes repetitive praise lyrics but with thoughtful melodies and lead/BGV arrangements that pierce the heart and soothe the soul. The album’s most inspirational lyrics can be found on the final track, “Hope.” Tiff joins in duet with homeboy and album producer VaShawn Mitchell on yet another inspirational ballad. This time, the message is more universal. “There is hope for every boy and girl, if you believe.” The listener can take this as believing in herself or believing in God. Or both. I’m thinking both.